No I am not Britsh, but come on! 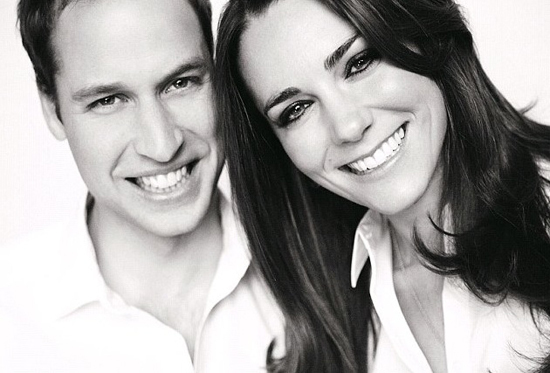 Everyone has to be a little intrigued and interested in Prince William and Kate's wedding today. We are watching history in the making people! To celebrate today I found a food post from Sprinkle Bakes.com and I just had to share it with you. Sadly with all that is going on with getting ready for my trip I didn't have time to make it or photograph it myself so this post is borrowed from SprinkleBakes.com. Trust me though, I am trying this cake out as soon as I return from vacation. Doesn't it look scrumptious? Please visit Heather's blog HERE for more pictures of the cake and the recipe is copied below! Congratulations Prince William and Tiffany! Oh sorry, I mean Congratulations Prince William and Kate! Will you be watching the wedding today? Lightly grease a 6" spring form pan. Set aside. Cream the butter and sugar in a bowl until mixture has lightened in color. Melt 4 oz. chocolate in a double boiler. Add butter and sugar mixture to the chocolate stirring constantly. Add the egg and continue to stir. Fold in biscuit pieces until they are all coated with the chocolate mixture. 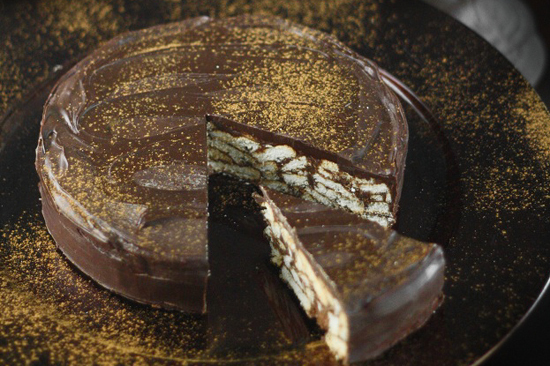 Spoon the chocolate coated biscuits into the cake pan. Press firm with the back of a spoon to fill in any gaps - the bottom of the cake will be the top when turned out. Chill the cake in the refrigerator for 3 hours. Remove cake and unmold on a wire rack. Melt the 8 oz of chocolate (I did this in the microwave) and pour over the cake. Spread smooth with an off-set spatula. Allow chocolate coated cake to sit at room temperature until chocolate is set. When set, run a spatula under the cake to remove from wire rack (chocolate makes it stick a little). Transfer to a fancy serving platter, slice and serve.